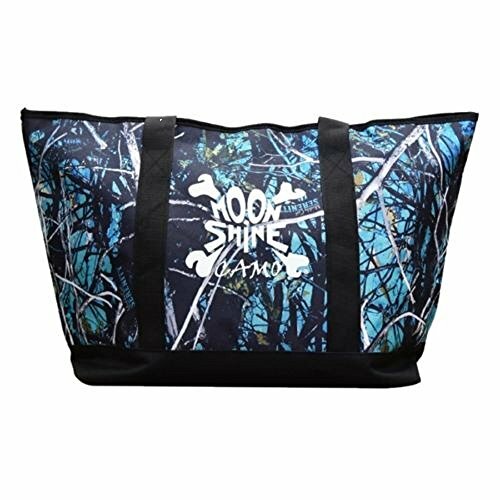 This Moonshine camo tote has a zipper closure, the logo on the front side only, 2 inside wall pockets, a shoulder drop of approx. 13" and the tote measures approx. 23" x 14.5" x 7.5". 23" X 14.5" X 7.5"
If you have any questions about this product by Muddy Girl Serenity, contact us by completing and submitting the form below. If you are looking for a specif part number, please include it with your message.